SAN FRANCISCO, November 13, 2018	(Newswire.com) - Child Family Health International (CFHI), a United Nations recognized nonprofit organization that has provided transformative global health experiences to over 10,000 participants since 1992, today announced the launch of Spring Break Global Health Seminars as an “Alternative to Alternative Spring Break” programs. Unlike Alternative Spring Break programs that offer participants the opportunity to work or volunteer in global settings for one week, CFHI Spring Break Seminars challenge students to question the “savior” mindset often associated with global health volunteer work, and instead allow participants to learn from local experts in global health settings in order to broaden their cultural and medical frames of reference. CFHI has long been a leader in ethical engagement in global health and has contributed to national standard-setting for best practices in the field. 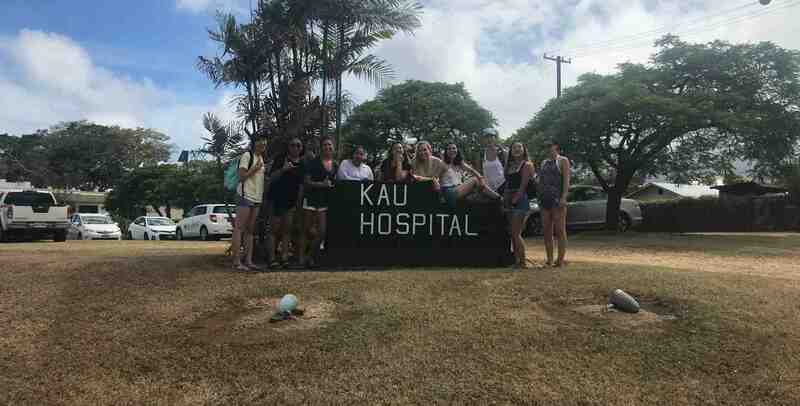 Staying true to its mission and values, CFHI has teamed up with local health professionals on the ground in Mexico, Argentina and Hawai’i who will mentor CFHI Scholars through the local culture, customs and social context of healthcare during week-long seminars in Spring of 2019, focusing on health and healthcare in each community. Participants in CFHI’s Spring Break Seminars will grow to understand health and healthcare practices through a holistic lens, examining health disparities and the social determinants of health in the unique contexts of the communities they are in. Participants will learn about health challenges including poverty, lack of access to healthy food, and many other themes while also examining innovative and successful community-based approaches to address these issues. Cultural visits and activities are woven throughout this program, as local leaders emphasize that culture and upstream determinants of health cannot be seen as separate from healthcare. “Students and academic partners have been asking CFHI for offer Spring Break programs for a long time” says Robin Young, CFHI Director of Programs and Operations. “We wanted to ensure that we were launching these programs thoughtfully and in a way that reflects our values, is mindful of best practices for Short-Term Experiences in Global Health (STEGHs), and honors our community partners, many of whom we have worked with for a decade or longer. As Service-Learning literature is increasingly finding that well-facilitated 1-week programs are as effective as longer-term programs in developing student orientations toward equality, justice, and social responsibility, our team and global partners agree that the time is right to take this exciting step forward.” With the introduction of Spring Break Seminars, CFHI’s continues to foster well-rounded health professionals who understand the value of learning from global preceptors and are equipped to serve diverse patient populations and respond to current global health challenges that transcend borders. Founded in 1992, CFHI (http://www.cfhi.org) is a non-government organization (NGO) operating at the grassroots level to provide transformative global health education experiences and community empowerment in underserved communities around the world. CFHI offers 30+ Global Health Education Programs designed to broaden students' perspectives about global health - as well as a variety of community health initiatives and projects - in developing countries including Bolivia, Ecuador, India, Argentina, Mexico, Uganda, South Africa, Ghana and the Philippines. More than 8,000 students have participated in CFHI programs to date. CFHI has been granted Special Consultative Status with the Economic and Social Council of the United Nations (ECOSOC).